So you had this great idea and you wrote a business plan that you presented to your lenders of choice and you got rejected. You’re mad and disappointed, but now is the time to “think” things through strategically. 1. Ask “why” you were rejected. They are obligated to tell you. Poor credit? Faulty concept? Poor business plan? It is important to find out the “why” because you might be able to correct your plan while your credit is a tougher thing to fix. 2. If your concept and plan are not the problems; then, it is a credit issue. There are alternative ways to finance your business including Private lenders, Friends and Family or by Crowd‑Funding. 3. You could take on a partner who doesn’t have the same issue you have. 50% of something is better than 100% of nothing. 4. You can change your concept. This is not all that palatable maybe, but you may have no choice. 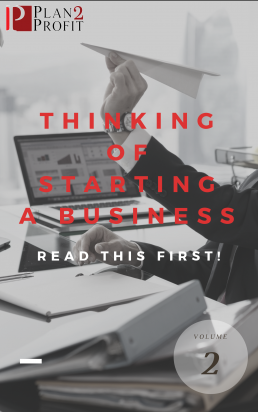 Look at starting a business that requires little start-up capital. For example, start a service business that you can run from your home. Establish your business and simultaneously repair your credit. Rather than opening a restaurant at this stage, offer restaurant owners consulting services of one type or another. 5. You can always start your business later. If your concept is strong, you’ll always have a market. I know that isn’t your first choice, but you may have to delay your dream. Getting rejected is not always a bad thing. It really makes you stop and think things through. I always encourage my entrepreneurs to “hurry up and slow down”. I want to make sure that they are really ready before jumping into entrepreneurship. It’s always there as an option.